I’m chasing a dream and couldn’t do it without you. If you’ve finished with The Fish Tales then how about a sneak peek at what I’m working on now? It’s a hot mess in two notebooks so I’m not even flirting with a release date. But click on Main Street below and you’ll be taken to the town of Guelisten. You’ll get some visuals and be introduced to new characters in my next book, An Exaltation of Larks. If you’re new to my books (or ended up here by accident) then how about a sneak peek at The Man I Love, the award-winning first novel of The Fish Tales? In chapter one, you’ll get to meet Erik Fiskare, a guarded boy struggling to grow into a guarded man. He’s on the cusp of college and starting an epic, emotional journey to adulthood. 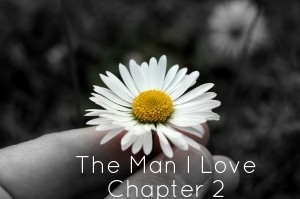 In chapter two, you’ll follow Erik through his first semester at college, until a fateful day in the theater when he lays eyes on Daisy Bianco. And is forever changed. Hopefully these little appetizers will whet your appetite for the full course banquet of The Fish Tales!